Because Kevin McMullen, MD, is a board-certified physician, patients can feel confident that they’re getting the latest and most effective skin, hair, and vascular treatments. Dr. McMullen welcomes new and existing patients to his private practice in Oklahoma City. After earning his medical degree from Texas A&M University College of Medicine, Dr. McMullen went through his internship and surgical residency through Alton Ochsner Clinic & Ochsner Hospital in New Orleans. To ensure he’s always in-the-know with advancements in modern medicine, Dr. McMullen continues his training and maintains several professional memberships. He’s currently board-certified in general surgery through the American Board of Surgery. 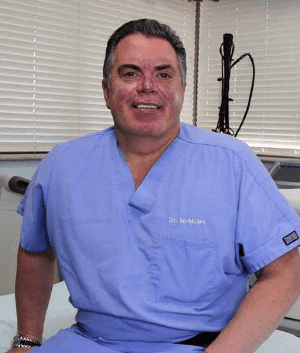 Dr. McMullen is also affiliated with the International Society of Laser Cosmetic Surgeons, the International Society of Hair Restoration Surgery, and the Oklahoma State Medical Association, to name a few. Throughout his career, Dr. McMullen has built a reputation for meticulous surgical techniques combined with genuine compassion for each of his patients. He’s one of the founding partners in the Surgical Hospital of Oklahoma, which is known as one of the top specialty surgical facilities in the region. Even though Dr. McMullen can perform procedures right in the office, if needed, he has access to several state-of-the-art medical facilities. Dr. McMullen is affiliated with the Oklahoma Center for Orthopedic Medicine, the Community Hospital of Oklahoma, and St. Anthony’s Hospital, among others. He even serves as the chief of staff and medical director of the Surgical Hospital of Oklahoma. Dr. McMullen’s goal is to help each patient look as good as they feel and to improve their health. He has special interests in treating varicose and spider veins, modern hair restoration, medical laser aesthetic treatments, and anti-aging injectables.